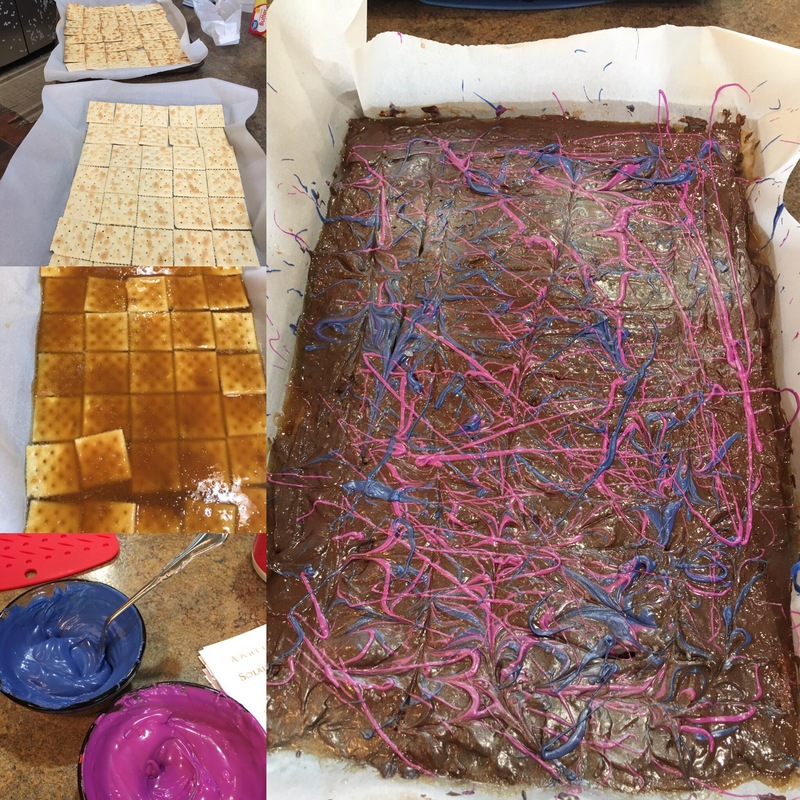 Our fun snack for our #GirlScoutSolarEclipse event is Galaxy Crack-ers. Of course I found this on Pinterest. I’m about 90% sure a grandma or relative uses to make this at Christmas time when I was a kid. It’s not hard or expensive and it is delicious!! The colors, crystallized sugar & spray make it fun.